Camille Harris is a musician, comedian, playwright, and composer born and raised in Boulder, CO and based in Brooklyn. She teaches music theory, musical theater, piano, and voice. Her compositions have been featured on projects and commercials for clients such as Nickelodeon, Adobe, Merrill Lynch, and more. An expert sight-singer, she has sight-read new music at The New Dramatists, and The Center for Ballet and the Arts at NYU and has performed in new works at The Whitney Museum, The Dramatists Guild Foundation, and Walkerspace TriBeCa, among others. 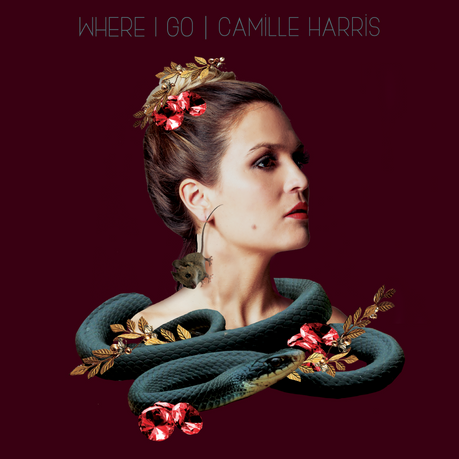 Camille was featured in the DailyMotion showcase at SXSW 2014 and performed at CMJ 2014. Her one-woman show, Camille! Young! Silly!, has played many venues throughout the New York City area and was part of Ars Nova Theater's ANT FEST. Her song "Baby on the Subway" was part of IFC/College Humor's "Comedy Music Hall of Fame" in 2015. A "silly jazz" singer and pianist, Camille has released three albums: Where I Go, Silly Jazz, and Beneath the Moon as well as an original cast recording of her musical Muffin Man: a musical (available on all streaming services). Camille has been a performer with the Brooklyn Public Library’s “Stomp Clap and Sing” program for five years and has enjoyed three residencies at the Park Slope Branch for the Jack and Friend's program. Her musical, Muffin Man, ran in the 2009 New York International Fringe Festival and was selected for the FringeNYC Encore Series. Muffin Man is available for licensing by Samuel French Inc. and has been performed by high schools around the country.